Reddit just snagged Mark Luckie to head up a newly created role: Head of journalism and media. Luckie previously worked at Twitter (TWTR) as a manager of journalism and news, a position he left in May 2015. Upon leaving, he wrote a Medium post about what it was like to work at a tech firm as a black man. "The widespread underrepresentation of faces of color in tech is already alarming," wrote Luckie, who was an editor at The Washington Post before joining Twitter. "However, the situation is more dire than raw numbers project." At that time, Luckie vowed to put a greater focus on "contributing to the visibility of black issues rather than stand by idly." He published a novel, Do U., about life at a historically black college. He also heads up "Today in #BlackTwitter," a daily news digest about what black Twitter users are talking about. Luckie said Reddit, a platform for user-generated content, approached him about two months ago about the new role it was creating. 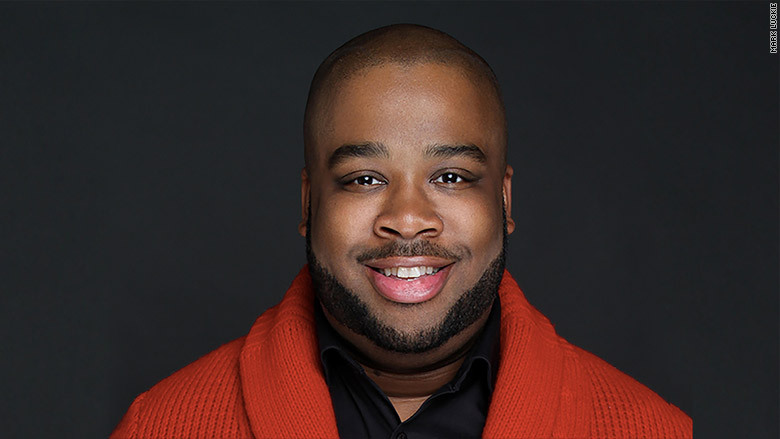 "Being a black man who works at Reddit is a powerful statement in terms of being able to change diversity from within an organization," he told CNNMoney. "That's one of the things I'm proud of, that tech companies are giving consideration to people from underrepresented backgrounds." It's an important hire, to be sure: Reddit, like Twitter, has struggled to clamp down on harassment, racism and bullying. In his new role, Luckie will work directly with media and government organizations to help them better understand how to leverage Reddit. Many are already using Reddit's popular Ask Me Anything feature, but Luckie will to start quantifying how they're using the service -- and how it could better serve their needs. Luckie said he'll also get the opportunity to work on Upvote, a new site that Reddit launched in October, which he's a fan of. He said he's been a member of the site for "nearly as long as I've been in news." Luckie, who turns 33 this week, will start on February 22 and will continue to live in New York City. Luckie said he'll also help focus internal conversations on creating a diverse workforce and a diverse userbase. "I've been so vocal about diversity in tech, so I wanted to make sure that was part of the role."